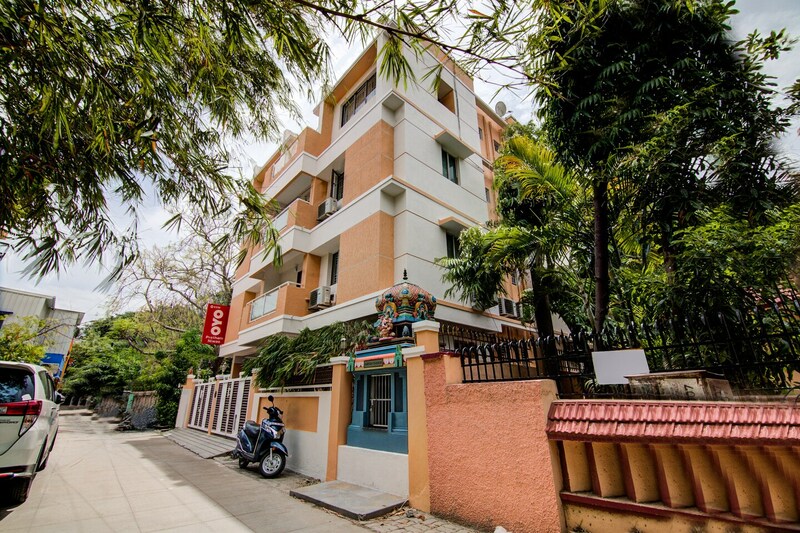 Flagship Anna Nagar offers travellers a comfortable and relaxing stay in Chennai with its airy rooms, homely atmosphere and friendly staff. The rooms have a classic design with light coloured walls and wooden pattern accents adding to the charm. The flowing curtains complement the decor of the rooms. There is ample storage room provided with the room so that guests can conveniently unpack their belongings. A full-length mirror makes getting ready easier. The property offers a common seating area where guests can spend time and mingle. Free WiFi connectivity is available to meet all the internet needs of guests. The property also provides a parking facility for guests travelling with personal vehicles.